Backed by a competent team of employees, we are engaged in manufacturing and supplying highly advanced Aerial Work Platform. The Aerial Work Platform, like Double Mast Aerial Work Platform and Single Mast Aerial Work Platform, we provide are made as per the set standards by utilizing well-tested materials. 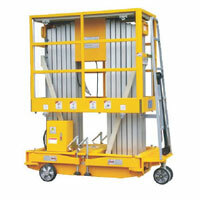 The clients can avail the Aerial Work Platform from us at the most competitive price. 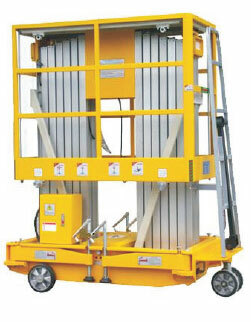 We bring forth Single Mast Aerial Work Platform in the market. 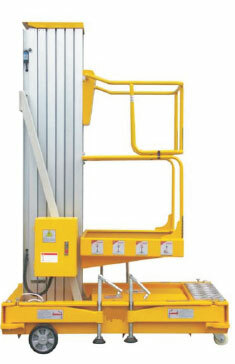 The Single Mast Aerial Work Platform adopts aluminum mast design, which is light, flexible and reliable. 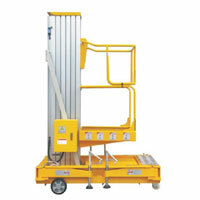 This Single Mast Aerial Work Platform is suitable for only for one person working in exhibition hall, warehouse, supermarket, airport, port, etc.